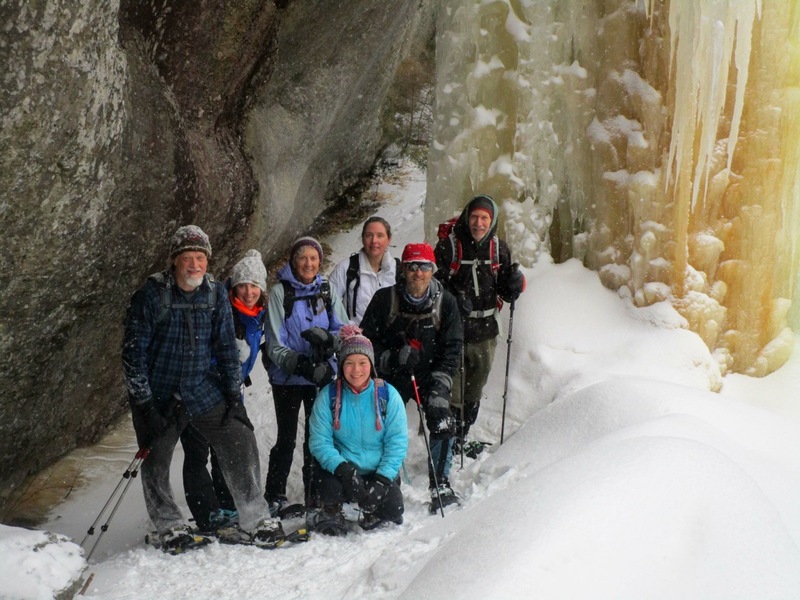 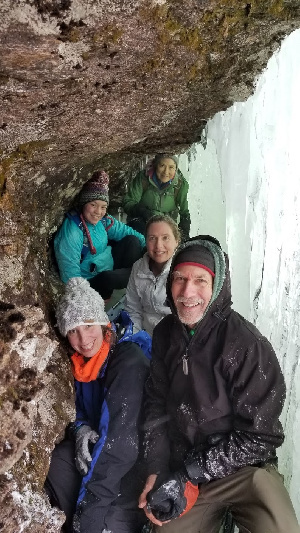 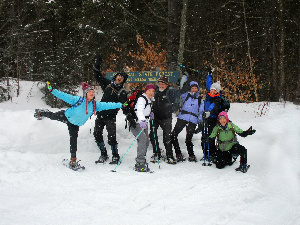 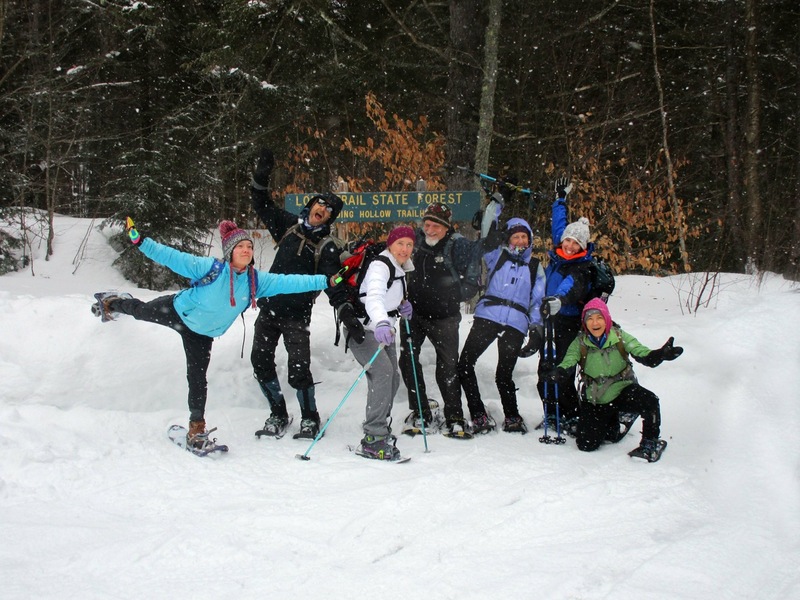 On Saturday, February 16 eight snowshoers took turns breaking trail through deep snow up the Long Trail North from the Codding Hollow trailhead to the ice-curtained ledges on Laraway Mountain, and beyond to the Lamoille Valley overlook. 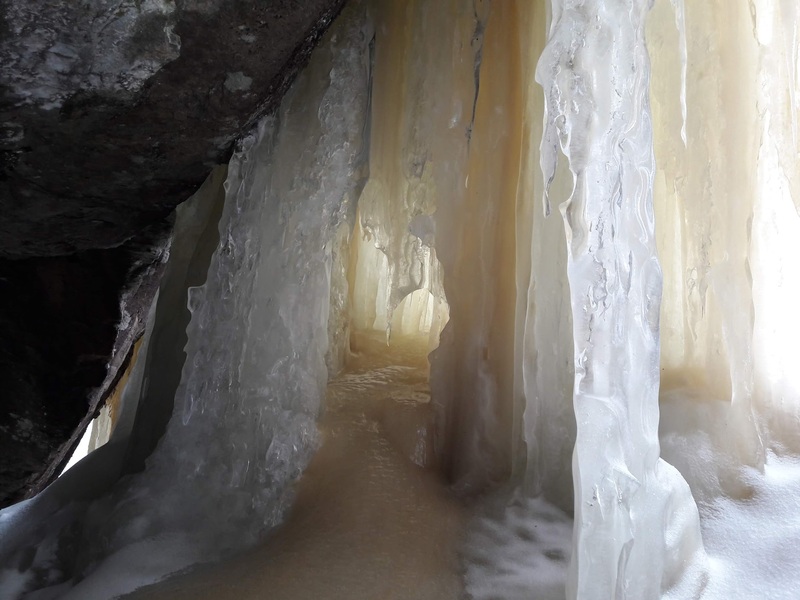 The day featured perfect temperatures, trail finding challenges, a great group of compatible shoers, stunning ice formations, and even a bit of sunshine as we headed down. More photos: Steve Bailey put up this whole album of photos.